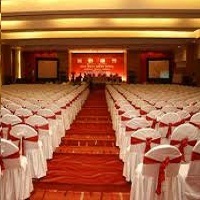 Excellworld Holidays in Nagpur is a leading Event organizer that offers top rate event management services to clients. We are experts in organizing both formal events as well as informal events. Whether itâ��s a birthday party or an engagement party that you want us to organize, whether a business meeting or a conference that has to be planned, we are the best people to contact. We ensure that the events organized by us on behalf of clients are executed in the best manner. All our efforts are directed towards ensuring that our guests have a memorable event & a wonderful experience of dealing with us.